The woman thought she was taking part in the prank for a comedy video, Vietnam said today. VIETNAM SAID TODAY that the Vietnamese woman accused of killing North Korean leader Kim Jong-Un’s half brother told officials she thought she was taking part in a prank for a comedy video. Doan Thi Huong was arrested alongside an Indonesian woman, with both accused of carrying out a fatal poison attack on Kim Jong-Nam in Malaysia on 13 February. Leaked CCTV footage from Kuala Lumpur airport shows two women shoving something into Kim’s face. The 45-year-old later suffered a seizure and was dead before he reached hospital. Huong told Vietnam’s foreign ministry that she believed she was tricked into killing Kim in a bizarre Cold-War-style killing. “She is in stable health. During contact with embassy staff, Huong said she… had thought she was playing a role in a humorous video clip,” a statement from Vietnam’s foreign ministry said, confirming that she was a Vietnamese national. The ministry added it would cooperate with Malaysian authorities on the investigation. 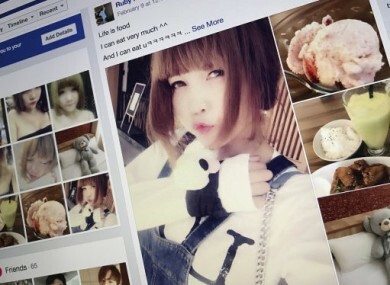 Huong gained notoriety after Malaysian police shared CCTV images of the 28-year-old at the airport wearing a top emblazoned with “LOL” shortly after the high-profile assassination. Unsubstantiated photographs have circulated on social media showing a woman who looks similar to Huong auditioning for a television talent show. Others have linked to a YouTube channel apparently showing the same young woman kissing a famous social media prankster. Vietnamese officials have not released any further details about Huong, but family members have said she was fashion-conscious, maintained funky hairstyles and dated foreign boyfriends. The Indonesian woman being held over the assassination said earlier she had been paid $90 for taking part in what she thought was a TV prank show. Malaysian police have said Kim was assassinated with VX — a lethal nerve agent manufactured for chemical warfare and listed by the UN as a weapon of mass destruction. Meanwhile, civil defence personnel in hazmat suits sealed off the scene of the airport assassination to sweep the site for toxins — almost two weeks after he was killed with a lethal nerve agent. Teams equipped with gas masks and specialised detection machinery descended on Kuala Lumpur international airport’s terminal two, accompanied by forensic experts and officials from Malaysia’s Atomic Energy Licensing Board. Large sections of the terminal’s departures hall were cordoned off with police tape in preparation for the hour-long sweep for traces of the highly potent toxin as a few curious onlookers watched. National police chief Khalid Abu Bakar said on Friday experts would sweep the airport terminal as well as other locations the two female suspects visited to ensure that there would be no risk to the public from the toxic agent. Email “Woman accused of Kim Jong-Nam killing 'thought it was a prank'”. Feedback on “Woman accused of Kim Jong-Nam killing 'thought it was a prank'”.